In 2013, Nokia received a $1.35 billion grant from European Union for the Future and Emerging Technologies to develop and commercialize graphene. Graphene is a material made from a one atom thick of Carbon arranged like interlinked hexagons. Despite of its two-dimensional form, it is often considered as the world’s strongest material—even harder than diamond, and 100 times stronger than steel of the same thickness. 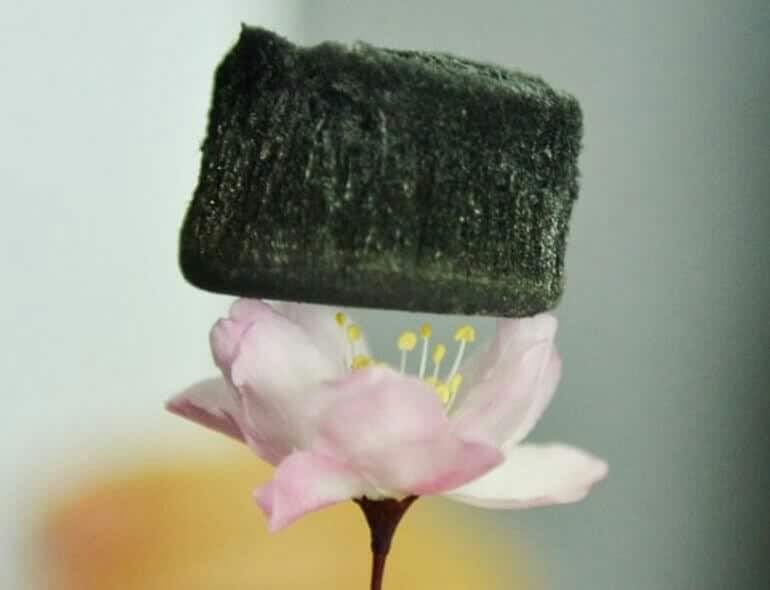 Graphene aerogel, also known as aerographene, sitting on top of a very delicate flower. 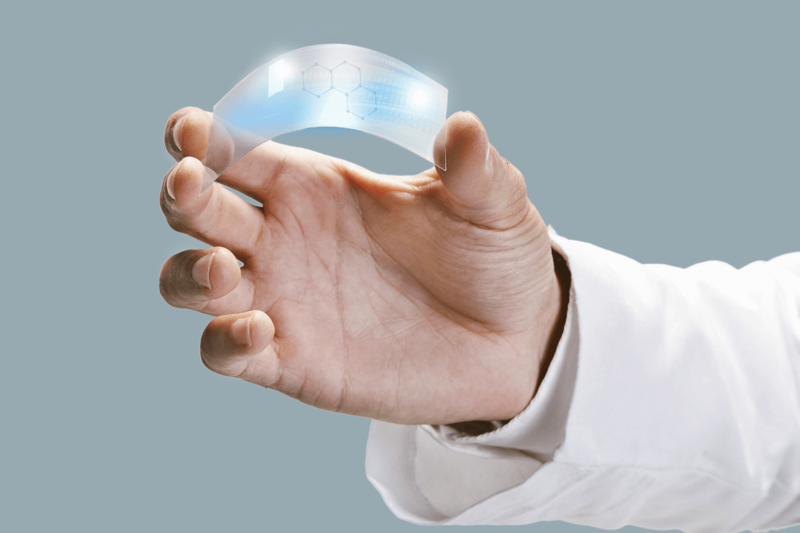 Graphene is a very thin and nearly transparent material that about 97.7% of visible light could pass through it. It is also so light that you can balance it on top of a delicate flower without bending the petals (in a form of aerographene). Additionally, graphene is a good electrical and heat conductor that it could possibly replace copper and silicon in our gadgets in the future. In a statement from Henry Terri (former Chief Technology Officer of Nokia) back in 2013, he said that Nokia have “deep roots in the field” and that the company “first started working with graphene already in 2006.” Terri also said that Nokia for years of research, have come to identify the application of material in modern computing environment and since have done “some very promising work so far”. But for years, we haven’t heard any developments from Nokia regarding graphene (or they intend to be more discreet), at least in the mainstream media. 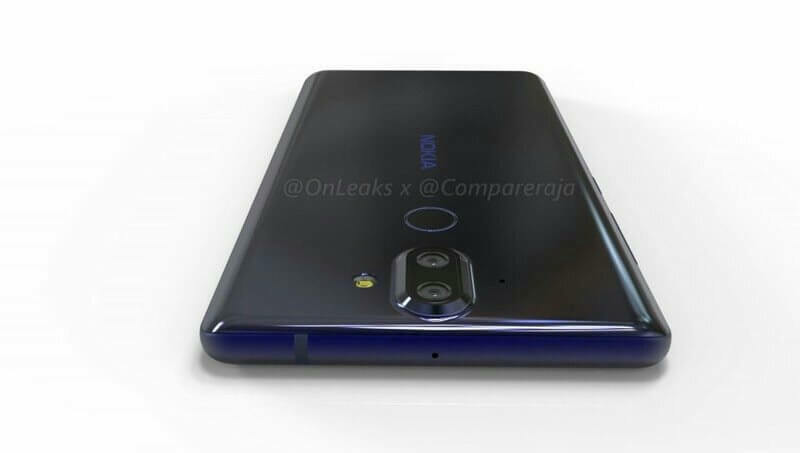 NPU reported last month that Nokia 9, HMD’s upcoming flagship smartphone, will have a camera with a graphene-based camera sensors. This motivates us to dig the internet to look for the answers and we found some exciting and interesting things. 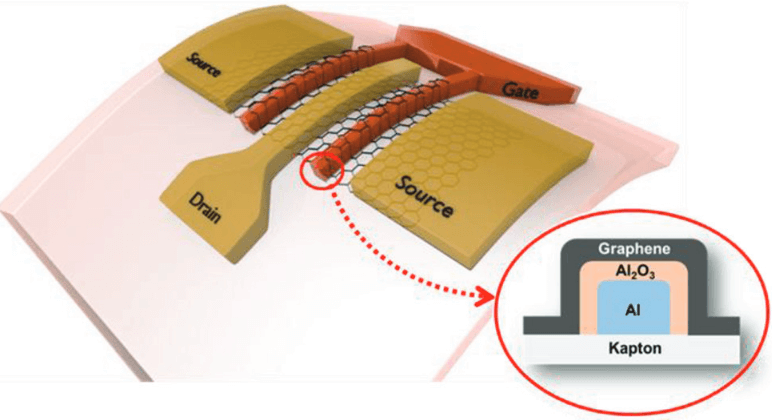 Earlier this year, scientists from IEMN-CNRS, Graphenea, and Nokia have demonstrated a flexible graphene transistor that reached a record high cut-off frequency of 39GHz. The graphene devices tested is made on polymer substrates and are found stable against successive bending and flexing. The device was also tested for thermal stability, which is a major issue to consider before producing flexible electronics. Researchers showed that at high voltage bias, the device easily heats up which could lead to permanent degradation of its performance. Scientists concluded that the degradation comes from thermal deformation of the substrate. This knowledge could help scientists find better solutions in the future that wearable technology could benefit from. 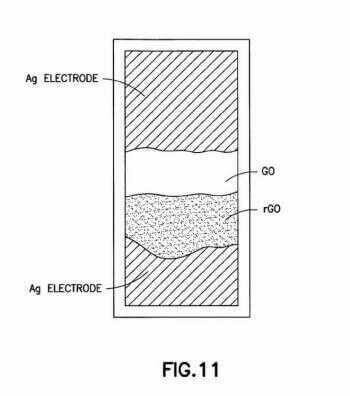 Back in 2015, Nokia issued a patent for a graphene-oxide based sensor to protect the device against water damages. The smartphone will use a graphene oxide sensing film that can detect moisture content or relative changes in humidity and would trigger an ultra-fast disconnection of device from it’s power source (battery). The technology could also be combined with other water-proofing methods and can be applied on a sensor by spray-coating or spin-coating onto the surface. 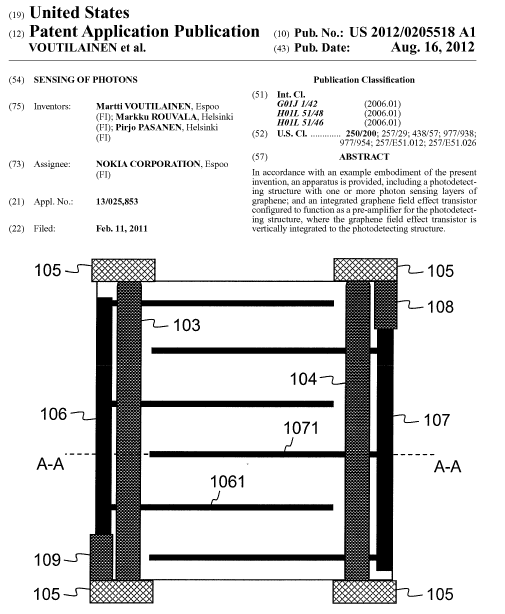 Nokia patented a self-charging graphene-based flexible photon battery in 2014. The battery can regenerate itself immediately after discharging through a continuous chemical reaction. The battery uses humid air to trigger a chemical reaction, therefore eliminating the need for any external power source for recharging. Aside from being flexible, the battery can also be highly transparent. A patent issued by Nokia in 2012 says the company is working to develop a new kind of camera sensor which is made up of multiple layers of graphene and color filters. According to patent paper titled “Sensing of Photons”, the example representation was made on both mobile phone camera and digital camera, however, there is also a mention of application to a security camera. I am one of those people who are still questioning HMD’s decision to follow Huawei with Mono-RGB dual-camera setup in Nokia 8, but I think they have a deeper reason for that. The graphene-based sensor can also capture native black and white photos aside from the standard RGB photos. You see, for a Mono-RGB dual-camera setup to work, you need a two sensors (of course), the one that can capture color information and the one that can capture details of a subject. In this case, a separate native monochrome sensor is needed to do that, and you are only restricted to capture colored images (provided by either single color sensor or a mixed of color and monochrome sensor) and black and white photo captured by a native monochrome sensor. So what’s my point here? Since graphene-based sensors can capture both color and monochrome photos (all done natively without internal processing to turn it into black and white photo), Nokia could reserve the second sensor of its dual-camera into something like telephoto and yet keeping it also as a companion to shoot RGB-Mono photos. 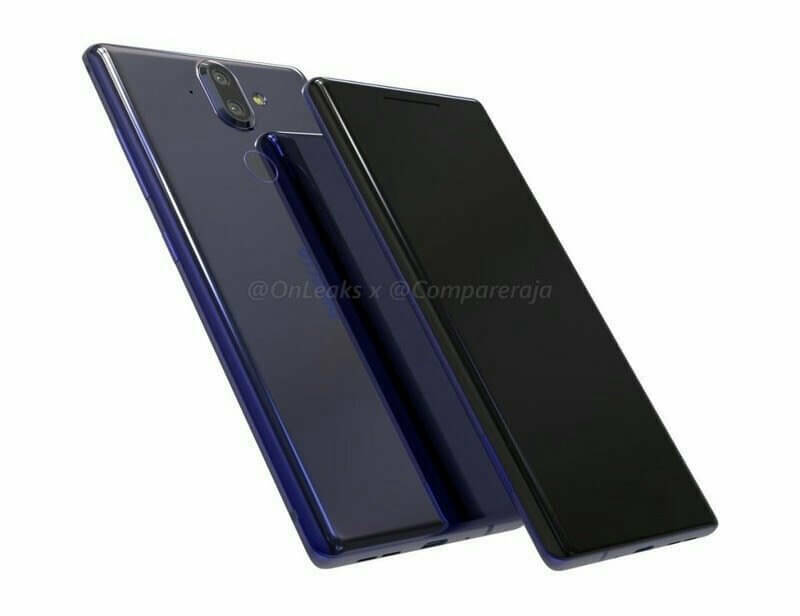 Nokia 9 will allegedly use a graphene-based camera sensor. Also one of the big advantage of graphene-based sensor is the transparency level of graphene. About 97.7% of light can pass through the graphene sheet, but it can only absorb 2.3-percent of light and it does evenly across a broad spectrum of frequencies, including that of a visible light. This alone makes the graphene-based sensor superior than the more famous CMOS sensor in terms of lowlight capture. According to Nanyang Technological University research team, graphene-based sensor is 1000 times more sensitive to light and 10 times more energy efficient compared to the existing camera sensors. Graphene-based sensors will also be cheaper to produce. If NokiaPowerUser (NPU) is right about the graphene camera sensor in the Nokia 9, then we might have a good smartphone camera showdown months from now.